In the event of a fire, a fire water deluge system creates a fine mist of water covering a large area. Any failure of the system - especially in a harsh environment like an offshore platform - is potentially catastrophic. This diagram shows how such a system works. While the principles may be simple, specifying the wrong equipment can have far-reaching consequences. Given the nature of the system, opportunities to test it fully are few and far between. We inspected the fire water system on an offshore platform when a competitor’s butterfly valve suffered severe vibration. This resulted in a failure of the system causing a significant Health & Safety risk, since neither the sprinkler nor the deluge system would function correctly. On closer inspection, we discovered erosion of the vane, valve body and seating area as a result of cavitation. The butterfly valves were originally specified to be operating with an inlet pressure of 6 bar and a pressure drop of 1 bar. Following installation it was revealed that the operating pressure drop under test conditions was in fact 5 bar, and the flow rate had increased from 250m³/hr to 340m³/hr. 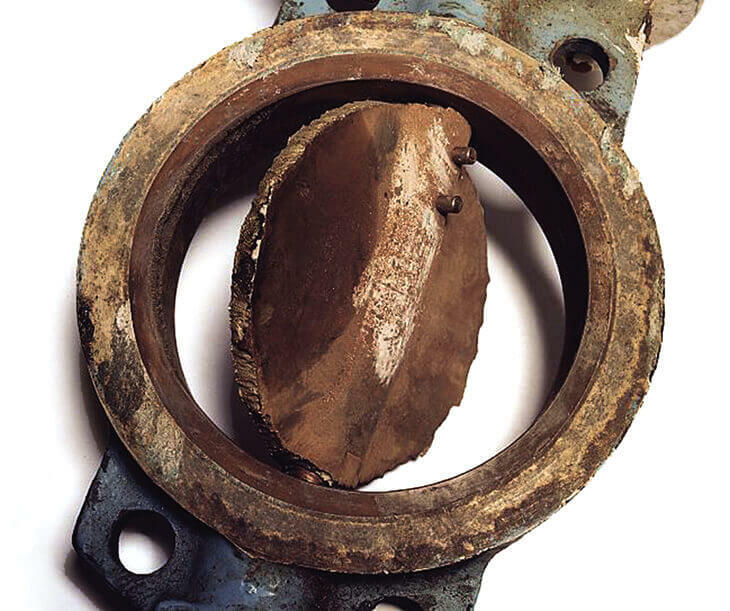 This meant that the existing butterfly valve had a calculated cavitation index of + 2.0 bar, which is classified as “severe”. This image shows the type and extent of the damage. Most of this damage was to the outer edge of the vane but the body was also severely damaged by cavitation erosion. It was clear that a larger globe valve type fitted with a low pressure recovery would be suitable for the operating pressures. However it was also necessary for the solution to fit into the existing pipework configuration. We provided the Rotrol high-performance butterfly valve as the solution. This product had undergone extensive tests at both our own water test facility and at the Brown Boveri Corporation (Baden) research facility. The special low-recovery vane enables high pressure drops to be handled without the onset of cavitation. This diagram shows a comparison between the respective pressure recovery characteristics of a standard vane and a Rotrol vane. 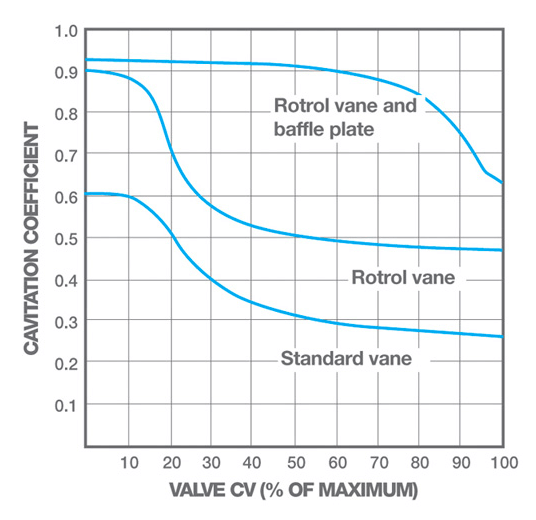 The Cavitation Index (CI) for the Rotrol valve under the most extreme conditions was 0.5 bar. 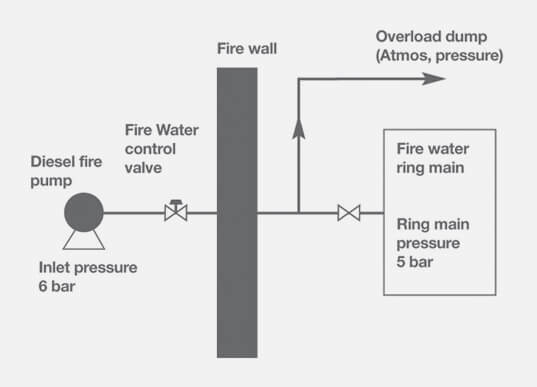 The modified fire water system, using the butterfly valve, was retested and operated without the previous problems of cavitation and unstable velocity control. This valve is now an accepted solution for what is still an onerous application. Contact us if you need advice or assistance with specifying valves for fire water deluge systems.